MitchieM tweeted earlier that the Birthday Song for Miku website has been updated to an interactive site, thus out of curiosity (And also because I sent two messages when the website started accepting Birthday wishes on the 8th of August), I checked it out. And it was ingenious, meaningful, and emotional. 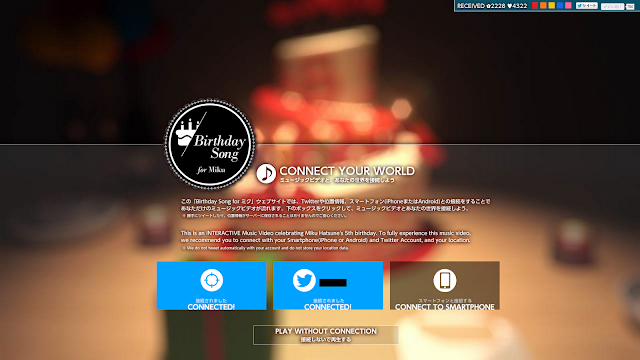 Upon entering the website, viewers will be given a few options - either send a Birthday Wish Message to Miku, About/Info, or Play Music Video. I checked out the Music Video, which asked me to connect my current location, my Twitter account, and my Smartphone for the full experience, as shown in the screenshot above. And thus I did just all that, and then played the video. 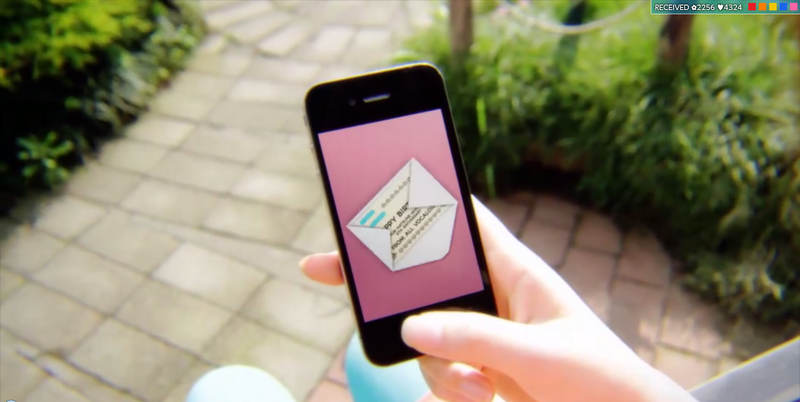 If you have seen the Birthday Song For Miku PV, the PV shows mobile devices displaying birthday letters among other doodles. Well all that happened on my phone at the same time the video was playing. As the video played on, at one point a map of the entire world was shown, and I saw my Twitter profile picture being set to my location on the map, among others who were connected at the time. ...And then came the kicker, where all the Birthday Messages sent in started popping up at random during the scene where Miku "strolls along like a boss". 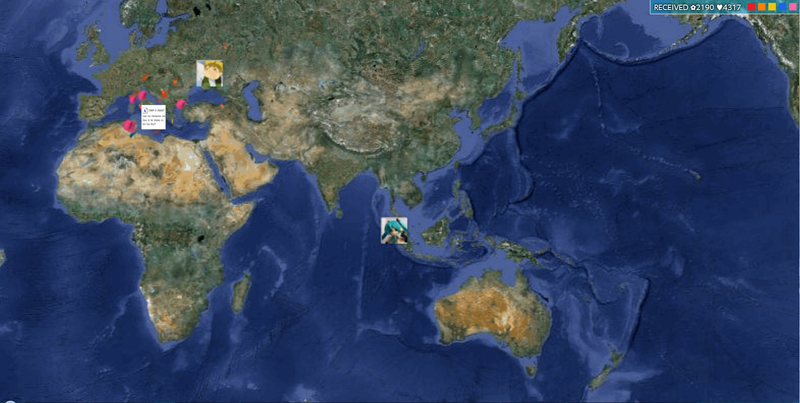 Seeing all that made me rather emotional, as it indicated wishes coming from literally all over the world, from the US, to Europe, to Southeast Asia and of course Japan. At the same time,on my phone, I was given the choice of sending up symbols (represented by each of the other Vocaloids), which promptly pops up on my computer screen. Note the "39" and the Red Flower on the above screenshot, that's done from your smartphone. 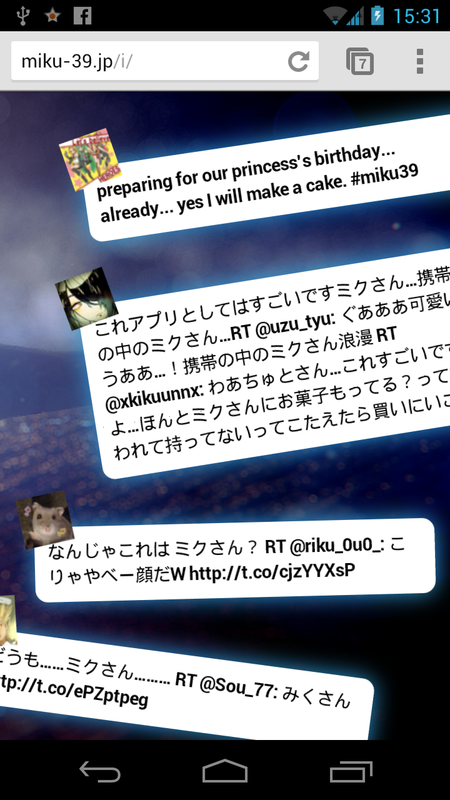 Moving on, at one point, tweets regarding Miku were displayed on my phone. Overall, the entire interactive experience was pretty cool, innovative, and yet, all the more meaningful to Miku's birthday. I found myself tearing up a little doing all that, especially at the end. I highly recommend anyone with a computer and smartphone (Android or iPhone) on hand to check this interactive experience out. It They really did went all out for Miku's birthday this year.